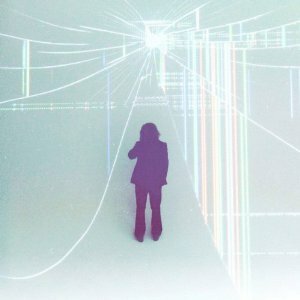 For diehard fans of My Morning Jacket, there should be no disappointment in frontman Jim James’ new solo album. I just finished a test drive from start -> finish and feel expectedly mellow and altogether pleased with the effort. In the opener “State of the Art” (A.E.I.O.U), the simple grace of Jim’s voice accompanied by a lonely piano sets the mood proper. By the third track “Dear One,” the early climax is a welcomed transition thanks to an up-tempo rhythm that gets my feet tapping. “A New Life” has the ability to encourage happy feet to get up and dance, and if it wasn’t for the comfy leather ottoman from which I am choosing to relax with a night cap, that is most likely what I would be doing right now instead of plunking these words. The nine-track offering from James is a well balanced joy ride; a nice departure after a long work-week. It’s a perfect accompaniment to a Sunday drive up the coast with the top down and a special someone at your side, or a tall glass of wine on a Friday night and a deep tissue foot massage. If you’re hosting a house party that is quickly winding down, this will surely slow down the goodbyes. “Regions of Light and Sound of God” releases everywhere February 5th. Check out Jim James on Facebook by CLICKING HERE. Email me via Matt@ShockBoxTV.com with album suggestions.